Different crops and production types such as perennials require specific growing mix characteristics to ensure optimum growth and healthy rooting. 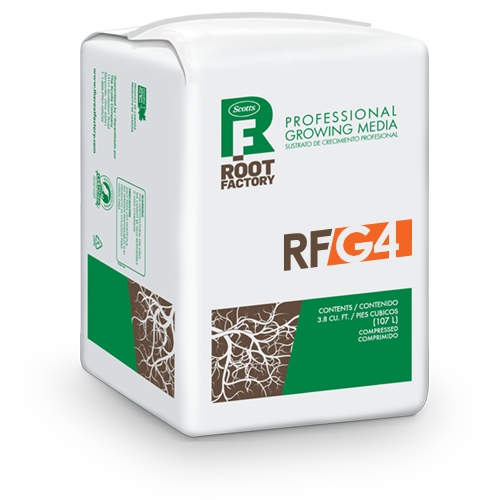 RFG4 is a heavier mix that is well suited for perennial type crops. This mix is a great balanced blend of peat, perlite, bark and fertilizer. Place mix in pots or containers. Plant seeds or live plants at recommended depth. Add supplemental fertilizer as needed. Refer to plant tag or seed package for further directions. 3 cft., 3.8 cft., 67.5 cft., 110 cft.